For Double Glazing and the latest Replacement Windows & Doors - make Eden Windows your first choice. We all know that the cost of energy is rising faster than ever. Unfortunately many homeowners in Sidcup are finding themselves in fuel poverty because of their old, poorly insulated windows. Old windows are notorious for allowing heat you generate with your central heating to escape. In order to effectively reduce your energy bills it’s important to upgrade to energy efficient double glazing. Looking for double glazing or triple glazing? Find out more about our double glazing or triple glazing options for your home. Our showroom showcases some of our energy efficient double glazing and triple glazing available in Sidcup. With friendly staff always on hand and happy to help you find the perfect replacement window style for your home. As the cost of energy continues to rise, many homes in Sidcup find themselves in fuel poverty because of their poorly insulated windows. This trend is only set to worsen if homeowners continue to persist with their old windows. Eden Windows urges all homeowners in Sidcup to look at replacing their old rotten timber windows and invest in quality double glazing. It is a proven way of keeping your energy bills low. Eden Windows replacement UPVC windows increase energy efficiency in the home as they allow little or no heat to escape from your Sidcup home. They also utilise heat generated by the sun and transfer it in to your Sidcup home at a comfortable temperature so that you can be less reliant on your central heating. As well as promoting energy efficiency, reducing your carbon footprint and being environmentally-friendly, Eden Windows will also make your home in Sidcup more secure. Each window design that comes from Eden Windows is fitted with a sophisticated and resilient locking mechanism. When locked, any threat of intrusion via your windows will be reduced dramatically as the glass inserted into each UPVC frame can only be removed from the outside and the lock is virtually tamper-proof. Any homeowner who purchases double glazing from Eden Windows will also be surprised by just how they can revitalise their home in Sidcup aesthetically. Once fitted, your new replacement windows will give your property a fresh new look. They also require very little maintenance as all UPVC replacement windows are weather-resistant. Whether you have a heritage property or a modern home there is something for everyone. You will find shopping for a conservatory a very pleasant experience with Eden. 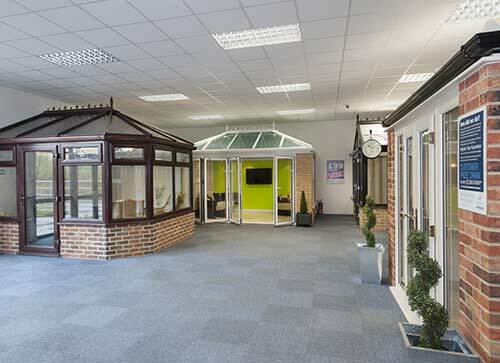 Simply call into our Gillingham Showroom or Bexley Showroom with your dimensions and thoughts and we can prepare a free no-obligation quote just for you! Make your house a home! Let Eden take care of it for you – get in touch with us today and see how we can help. 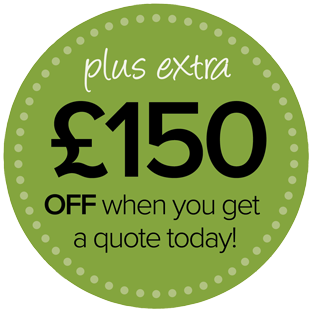 or call us today on 01634 840999.